The energy demand would continue to grow driven by emerging economies and the projected growth in global population, which will touch nine billion by 2040. 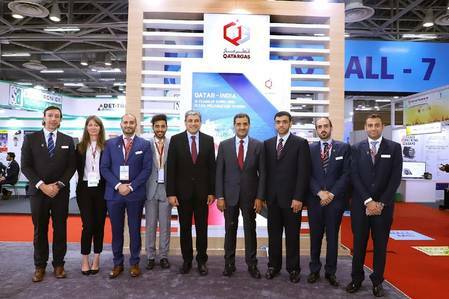 LNG demand is expected to increase at an average four per cent annually to reach more than 600 million tonnes in 2035 versus 290 million tonnes in 2017, said Qatargas CEO, Khalid bin Khalifa Al Thani. In view of this, more LNG projects are required to cover the existing and projected demand for clean fuels. He reiterated Qatar’s contribution to this increase of LNG supply through the addition of another 33 million tonnes per annum (Mtpa) to its existing capacity of 77 Mtpa to take the country’s overall production capacity to 110 Mtpa by next decade. He added that thanks to its low carbon emission profile, natural gas is the ideal complement to renewables. In countries like India where coal plays a major role (60% of energy for power) natural gas is a good substitute for oil, ensuring cleaner air and thus improving the standard of living. The CEO encouraged the Indian government to create a conducive environment for the increased use of this clean fossil fuel through a “top down” push for an enhancement of gas distribution infrastructure as well as reform of the applicable regulation and taxation.